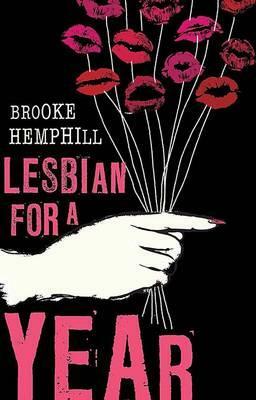 An awkward love affair in year seven, an engagement in her early twenties and a surreal liaison on an isolated island are just some of the different relationships Sydney based writer Brooke Hemphill explores in her memoir Lesbian for a Year. The reader jumps on board the sexual orientation train and joins Hemphill as she embarks on a journey of sexual self-discovery. The memoir raises broader questions about identity in terms of sexuality, and explores the strict labels and stereotypes we often abide by in order to understand who we are and how we fit into the world. I was introduced to Lesbian for a Year when I heard Brooke Hemphill speak at the Melbourne Writers Festival. Engaged and intrigued by the discussion, I contacted Hemphill to have a chat about the memoir and gain further insight into the journey that starts off in her bedroom as she wakes up next to an unknown, naked, beautiful woman. Hemphill doesn’t actually enter the town labelled “lesbian” until presented with the opportunity to work on an online TV series about a group of “hot Sydney lesbians.” Professionally, Hemphill is an editor for a media and advertising magazine so she took the job, seeing it as an opportunity to explore herself in this new and foreign world. This is where the journey really kicks off. The reader follows Hemphill through her first real relationship with a woman, the party and video shoot for Mardi Gras and the various encounters she has with the women who form this complicated network. The book itself is an entertaining read. Hemphill has a uniquely blunt and honest voice, and the book itself is littered with just enough Australian slang that makes you feel like you’ve known Hemphill all along. However, as Hemphill claims throughout her story, she is an introvert who is emotionally distant. This is highlighted by her writing style, which at times gives the reader the sense that they may not be getting the whole story. It feels like Hemphill is sitting in her editor’s chair cutting out all of the emotionally charged bits and simply using facts to represent her thoughts. This left me wanting more from Hemphill, as she is gutsy enough to stray into areas that many heterosexual men and women writers wouldn’t dare, yet pulls back with her straightforward yet sassy voice and consequently reducing the level of intensity of the moment she is describing. In reading a memoir we are generally hoping the writer will reach some kind of conclusion about who they are. I personally think a memoir should be able to capture a particular moment or time of change in another person’s life; it should offer the opportunity to join the author on their personal journey, allowing the reader to reflect on their own experiences simultaneously. This approach seems like a more realistic and honest depiction of how people grow; it reminds us that identity should be fluid, ever changing and contemplative – otherwise we become stagnant and at times ignorant. I believe Hemphill achieves this. While at times she is distant she is at least being authentic, because if you remove the controversial title the book is simply an expression of the confusion felt by one person after experiencing sexual encounters and relationships with people of the same gender. If anything, the book challenges the reader to consider the difficulty that exists in any relationship, be it gay, straight or bisexual; ultimately it is the two people involved that define it. You can read our in-depth interview with the author of Lesbian for a Year, Brooke Hemphill, in our October 2014 Digital Issue. You can pick it up for $5 here. This entry was posted in Books and tagged book, Review. Bookmark the permalink.